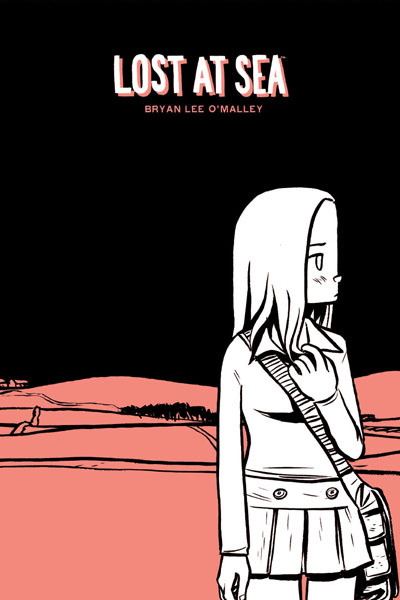 It’s Bryan Lee O’Malley’s birthday. I can always happily recommend his Scott Pilgrim books, which Kate (The Manga Critic) Dacey puts in the number one slot of her list of ten great global manga. (That’s a great list, by the way. I can’t think of a thing I’d add.) But chances are good you’ve already read all of the Scott Pilgrim books at least once. If you haven’t read Lost at Sea, celebrate O’Malley’s birthday by picking up a copy. I think you’ll really enjoy it. You are currently browsing the The Manga Curmudgeon blog archives for the day Sunday, February 21st, 2010.